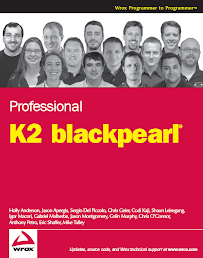 I am heading off tomorrow to the first K2 Insider Conference tomorrow morning in Denver. I am frantically trying to get some client work done, then I got TPS reports for several projects and an ice hockey in three hours. Ugh. Several went out skiing this weekend but it was just going to work for me given the amount of work on my plate.